Hampton Rotary operates the monthly Bayside Farmers' Market, a great community event. Hampton Rotary, together with all Bayside Rotary groups, is proud to deliver the inaugural 2019 Bayside Business Excellence Awards. Nokor Tep Women's Hospital in Cambodia to Hold Opening Ceremony in March 2019. Assisting Youth to Reach Their Potential! Plant-A-Tree is a Rotary project rolled out around the globe. 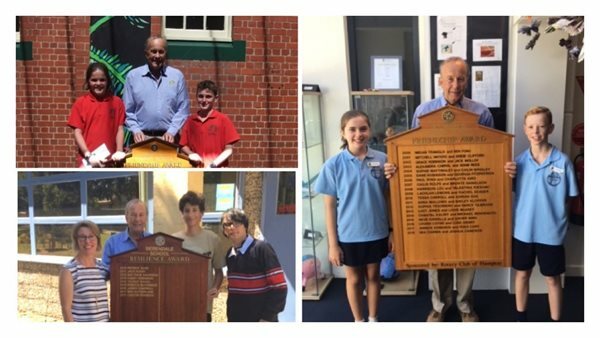 Supporting youth development and leadership, the Rotary Club of Hampton has collaborated with local primary schools to provide awards for public speaking through the Primary Schools Speech Competition, awards for Resilience, as well as the annual Friendship awards.